With the way online shopping is increasingly becoming part and parcel of our day-to-day lives, it’s inevitable that its inner workings change to suit the desires of the shoppers. And as these trends take over, brands need to incorporate these changes in their marketing strategies to stay on top of their game. 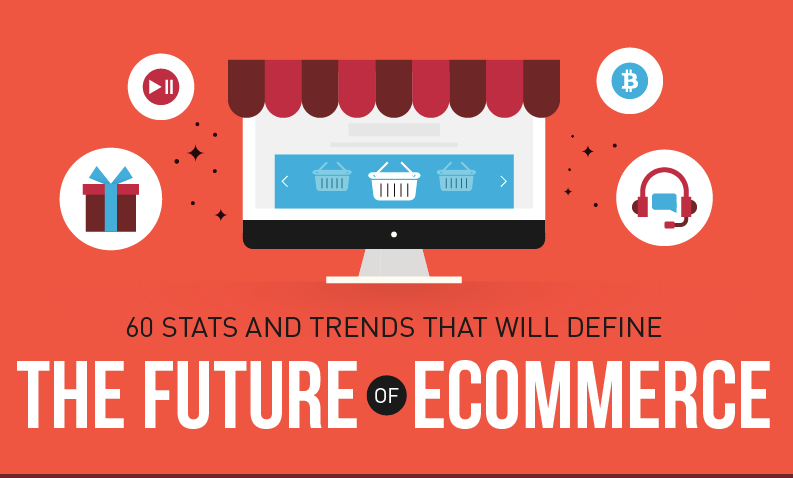 The infographic you’ll see below was originally published on Subscriptionly.net and it’ll showcase all you ever wanted to know about top trends that will revolutionize e-commerce. Offering a personalized experience to consumers takes the top spot among the trends. According to an Accenture Research report, 43% of online shoppers prefer buying from companies that provide a personalized experience, and this can be ascertained by the fact that 41% of customers switched to other companies because of poor personalization. In fact, Gartner noted that brands that successfully deal with the personalization of their e-commerce stores would witness a 15% profit growth by 2020. Also, mobile e-commerce will accumulate lots of revenue totaling up to $284 billion by 2020, hence the need for retailers to make their sites mobile-friendly and mobile-responsive. Already, 56% of shoppers use their mobile devices to look up products from the comfort of their homes. Walmart saw a 98% increase in sales from its mobile e-commerce site when it improved the site’s mobile optimization and design, while Kada raised its sales by 120% from adopting m-commerce. Bitcoin and other cryptocurrencies will also become a popular payment method in the future since they offer lower transactional rates of around 0.3% compared to the current payment methods. Furthermore, having multiple shopping channels will soon be the in-thing. And much as sellers seem to be facing difficulty in offering omnichannel experiences to buyers due to their high maintenance costs, failure to provide them will be at their own peril in the future. In fact, it‘s predicted that businesses with four or more online channels will outshine those using a single channel or even dual ones by 300%. No wonder then that 73% of sellers believe multichannel is essential to the further success of their businesses.